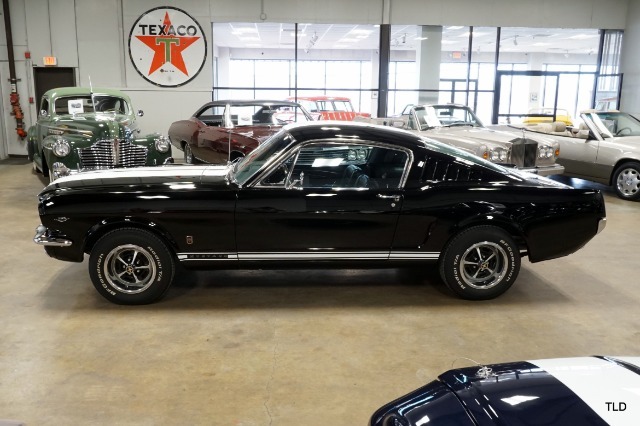 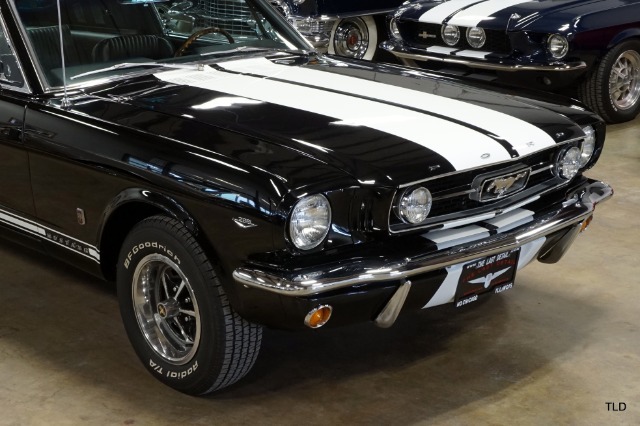 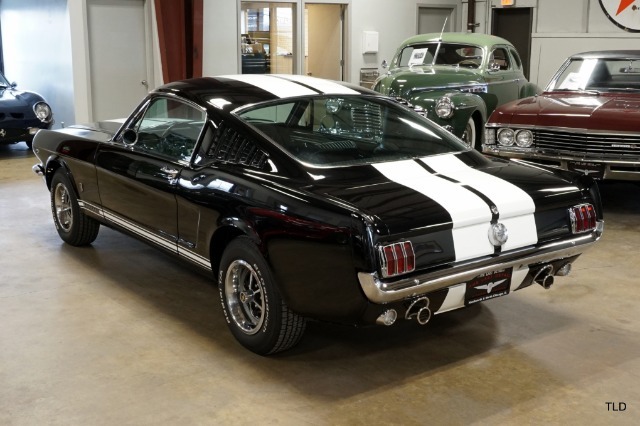 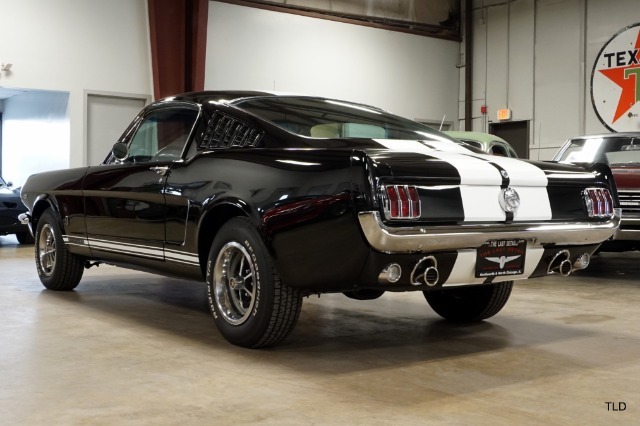 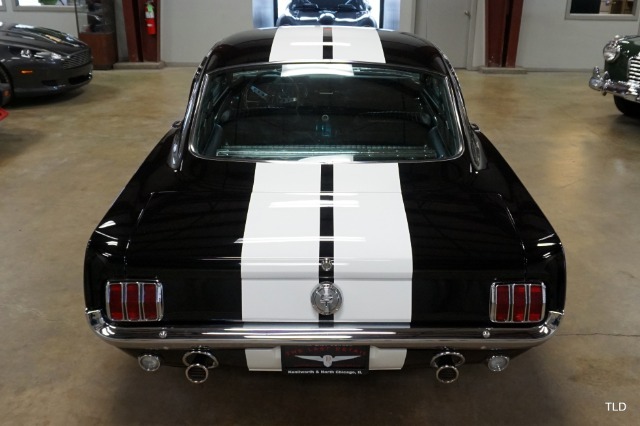 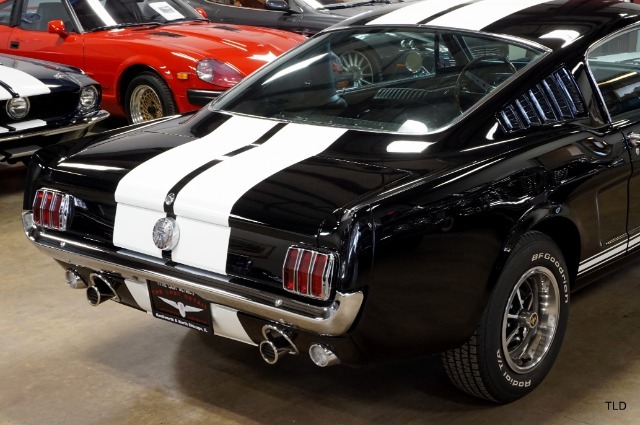 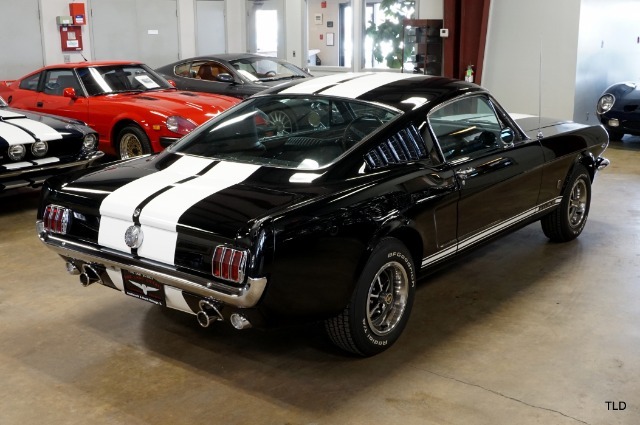 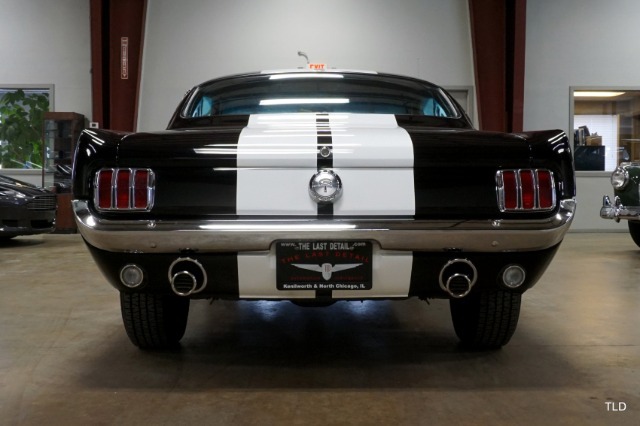 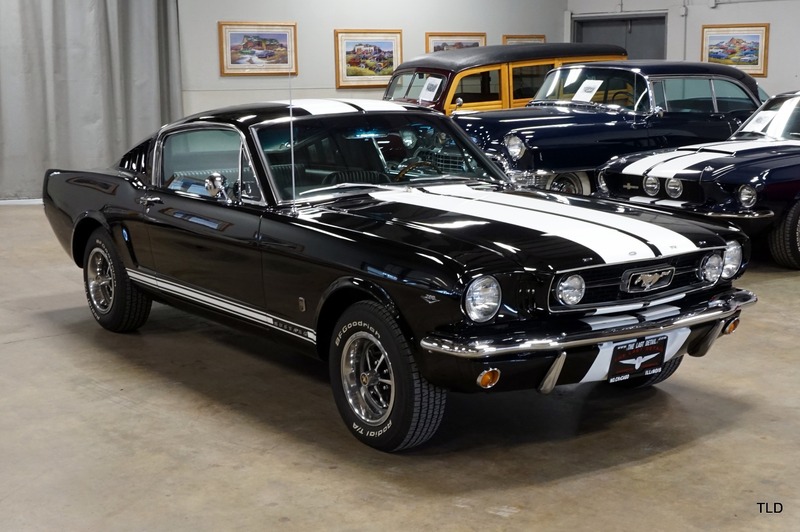 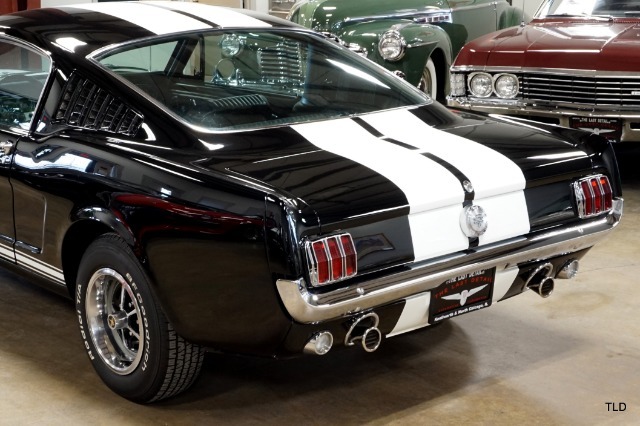 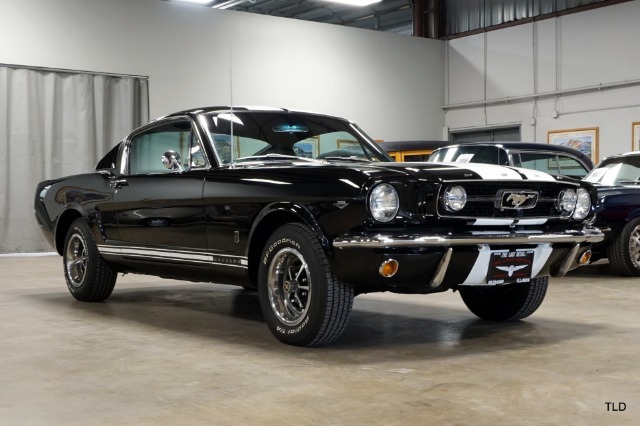 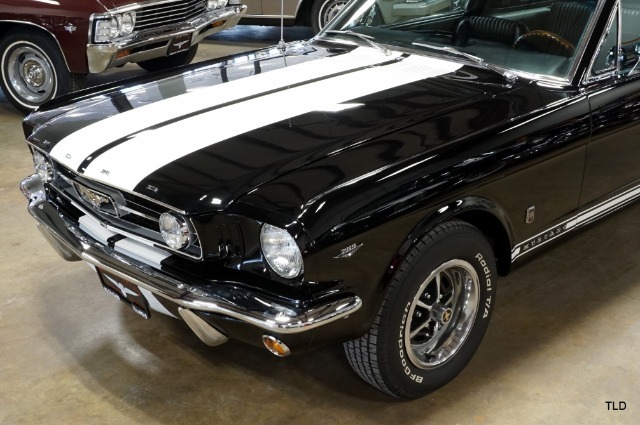 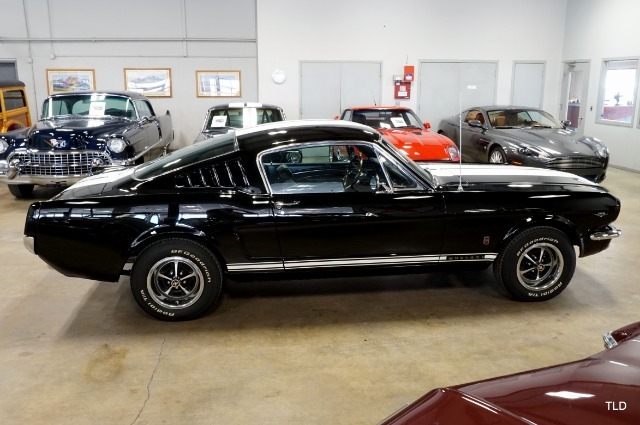 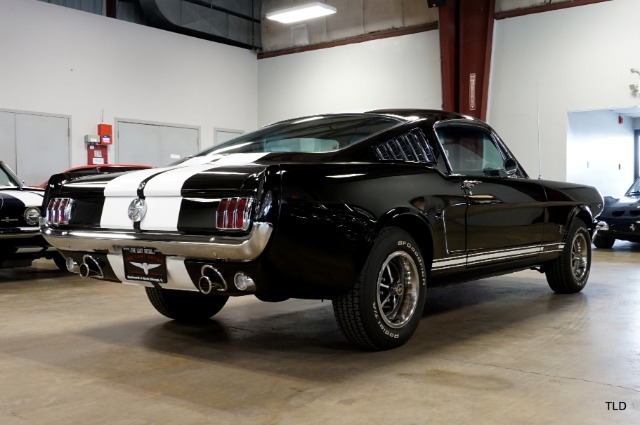 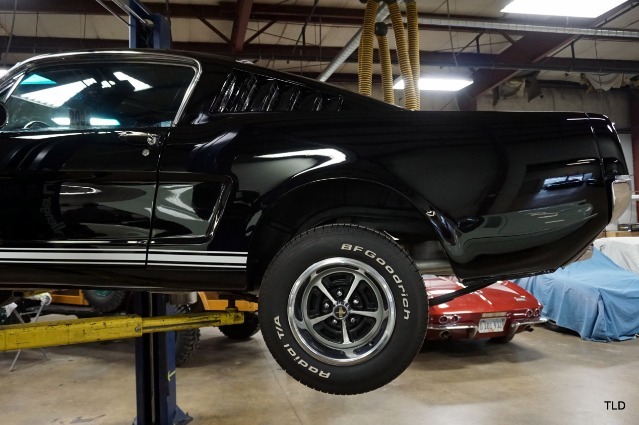 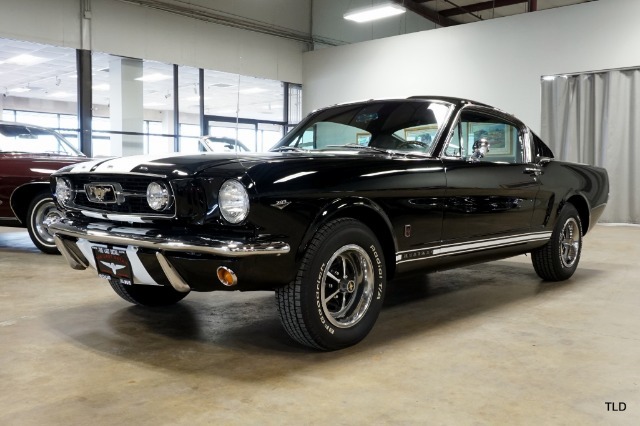 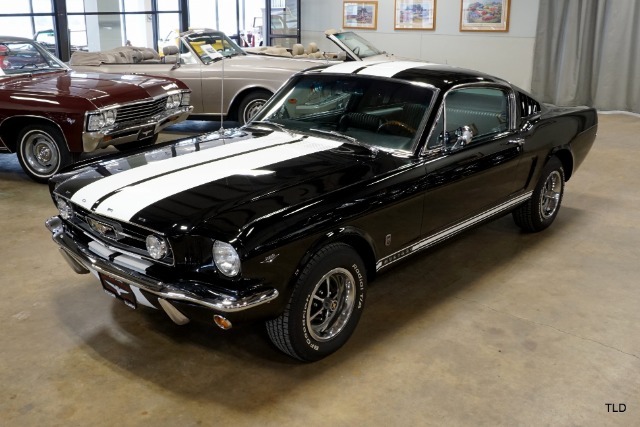 On offer for the first time in over 25 years, this Raven black fastback is contrasted by white racing and rocker stripes and is in beautiful condition throughout! 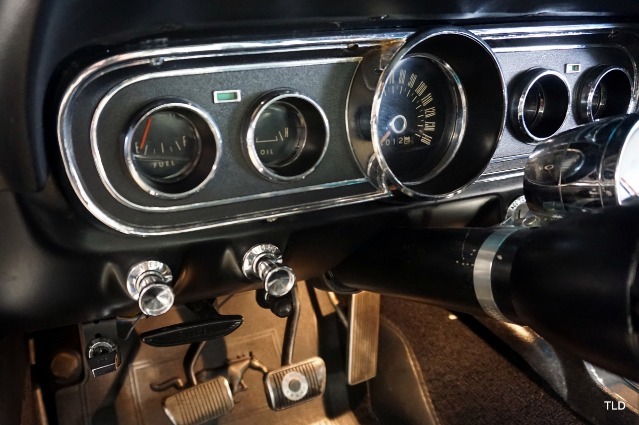 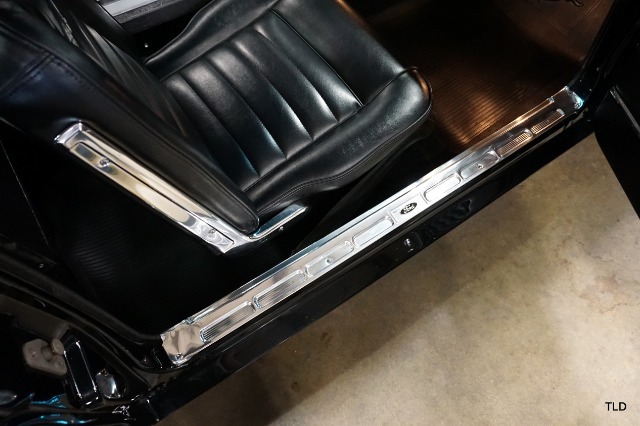 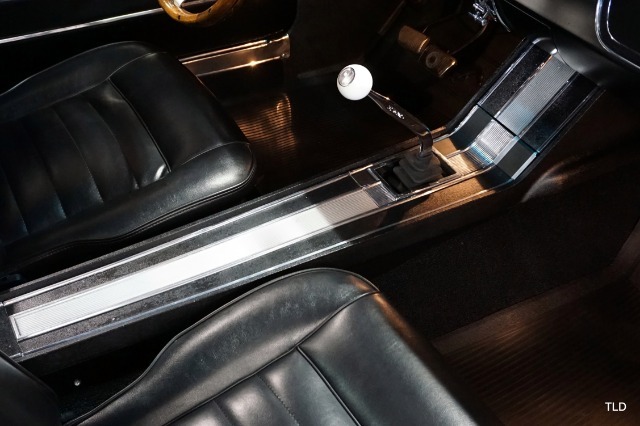 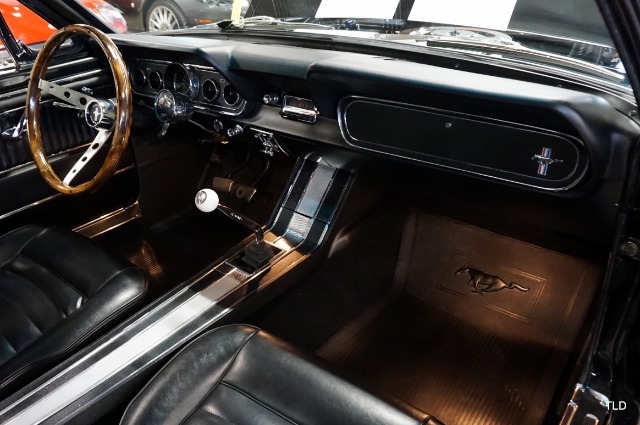 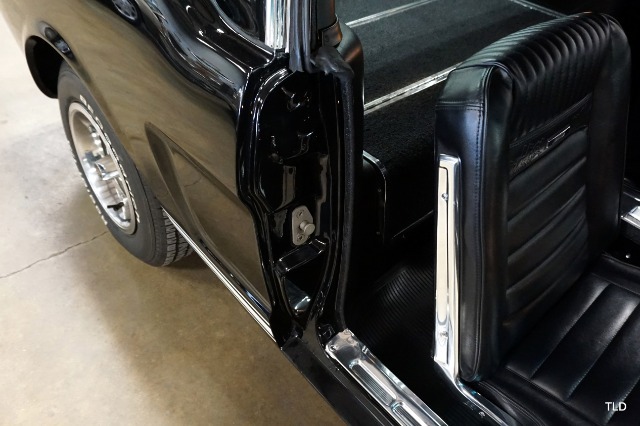 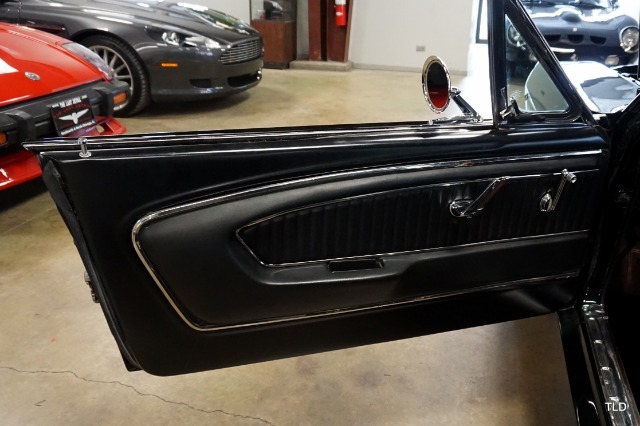 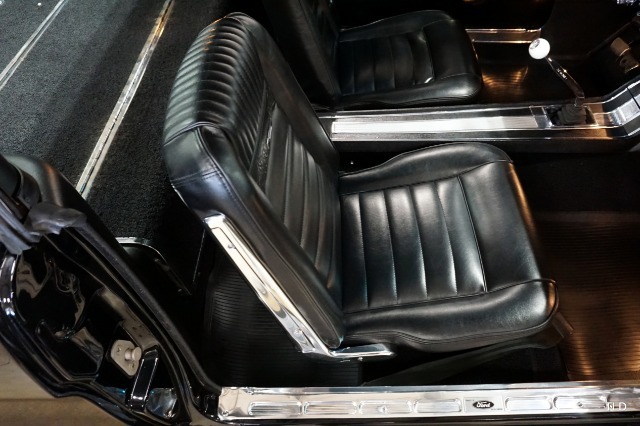 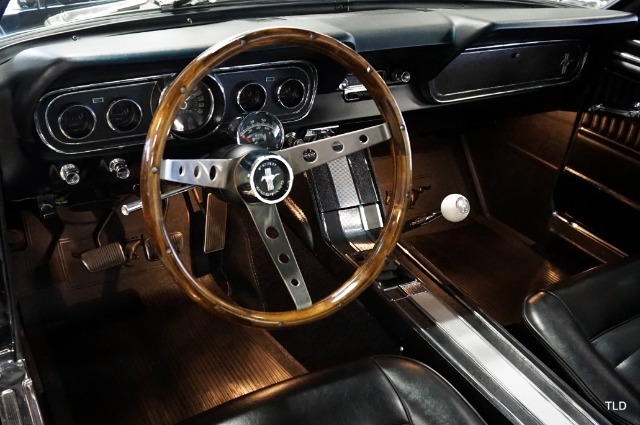 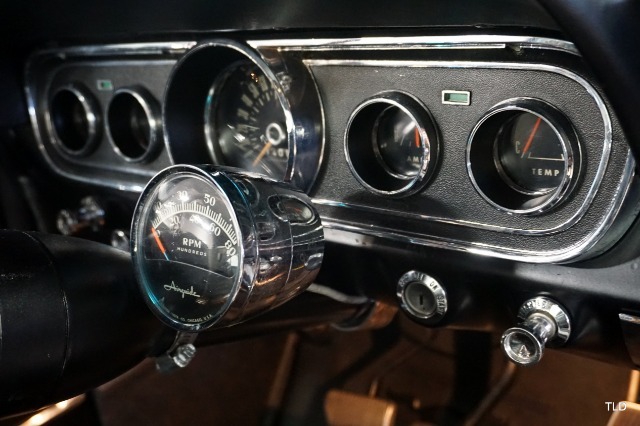 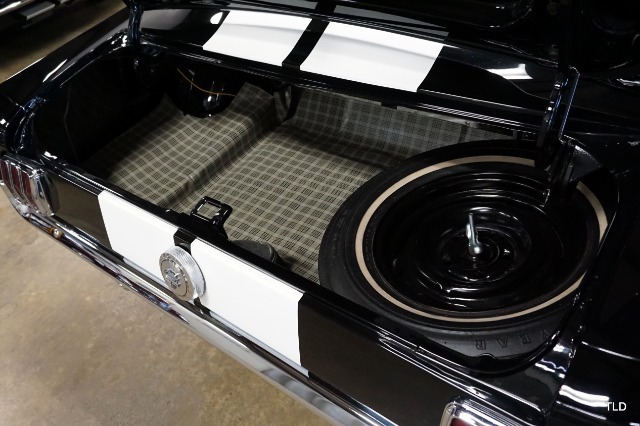 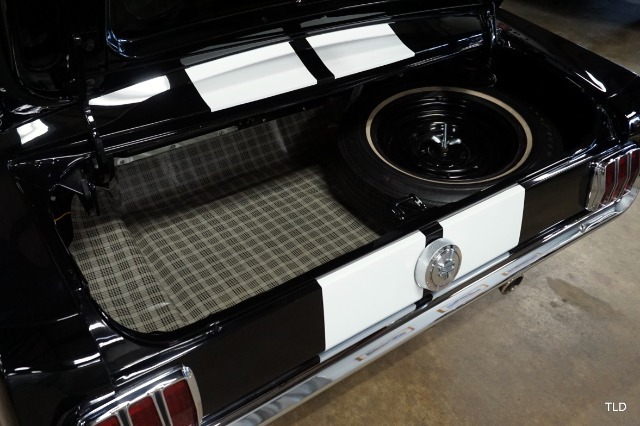 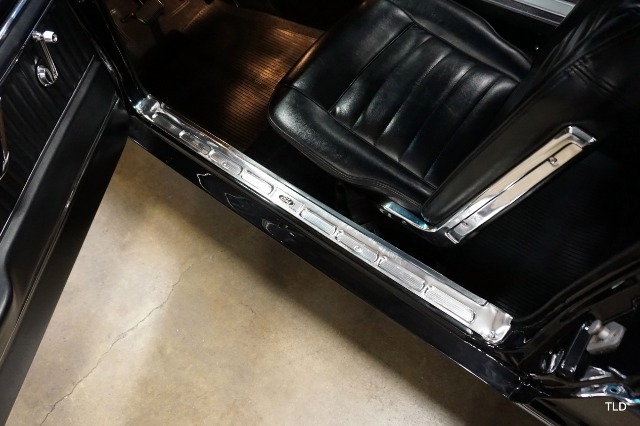 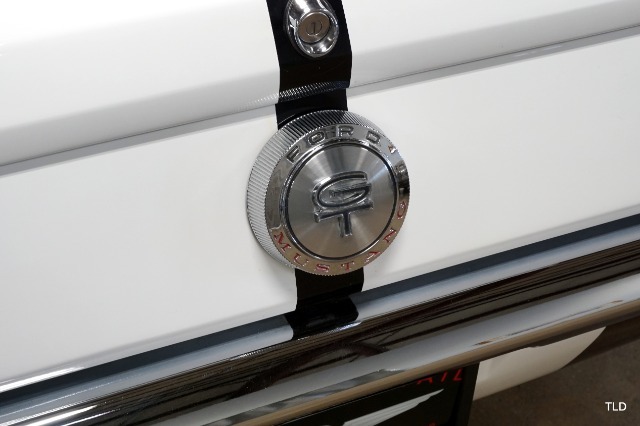 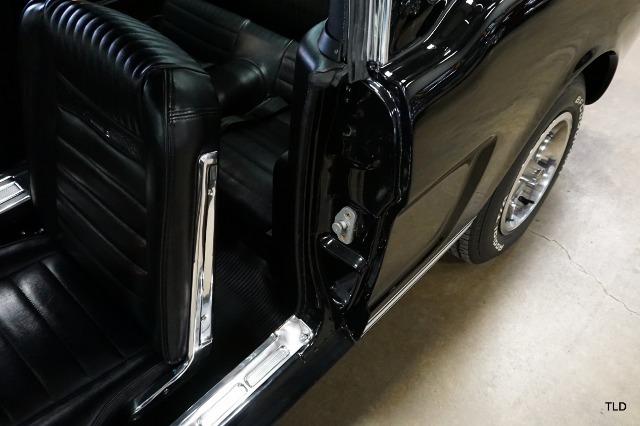 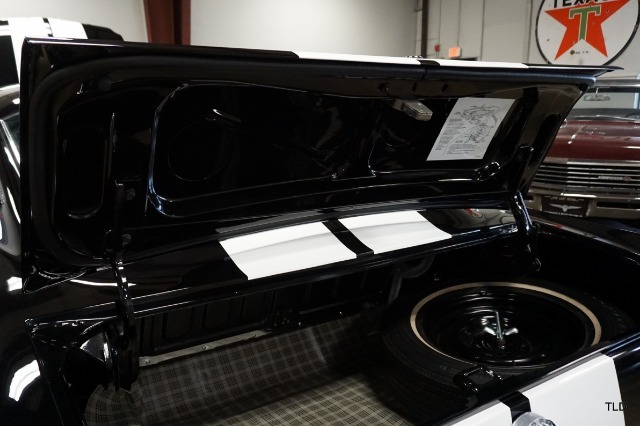 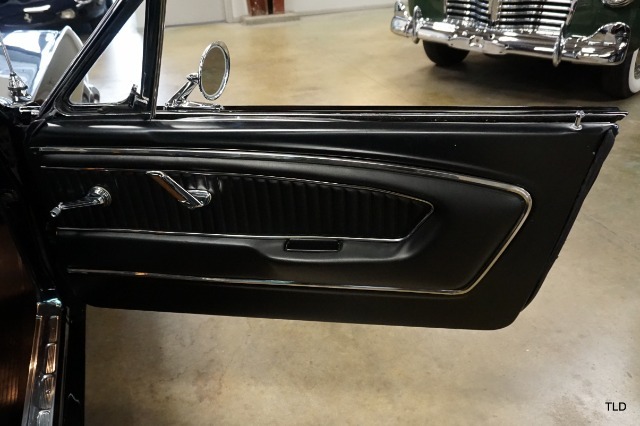 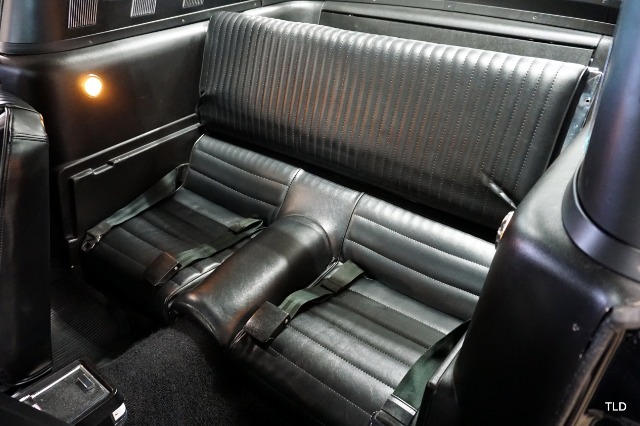 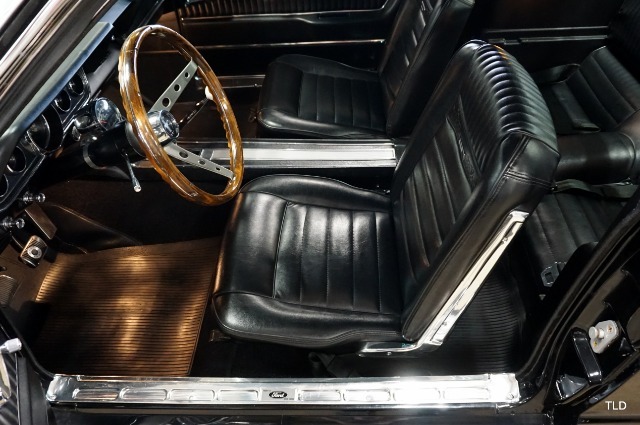 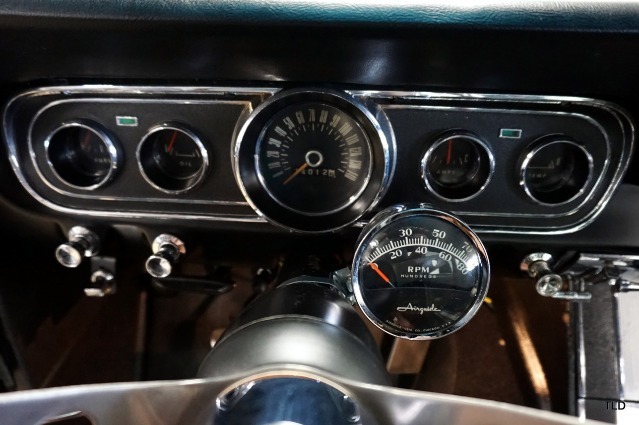 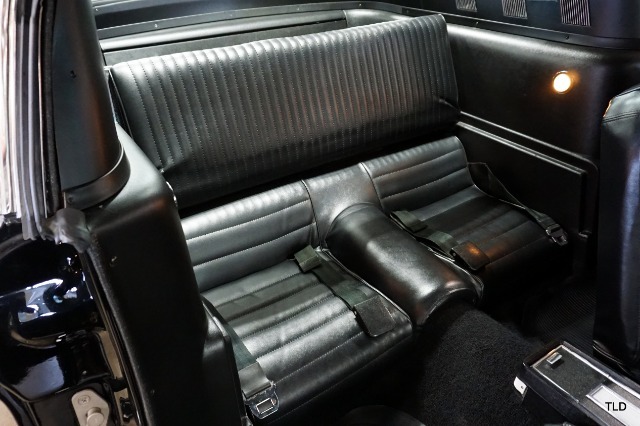 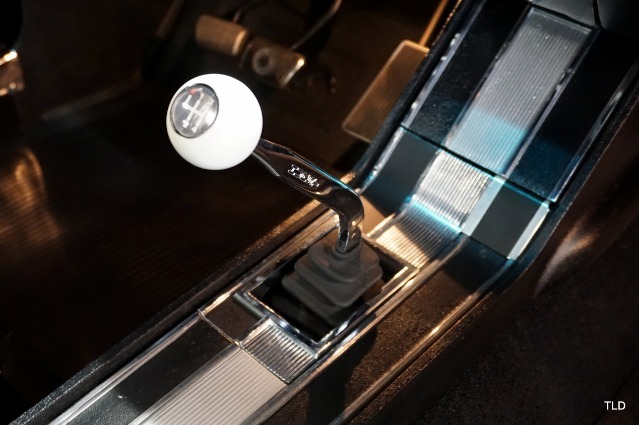 Inward, the black Pony interior is accented by chrome trim throughout and is further highlighted by a wood steering wheel, tachometer and AM Radio. 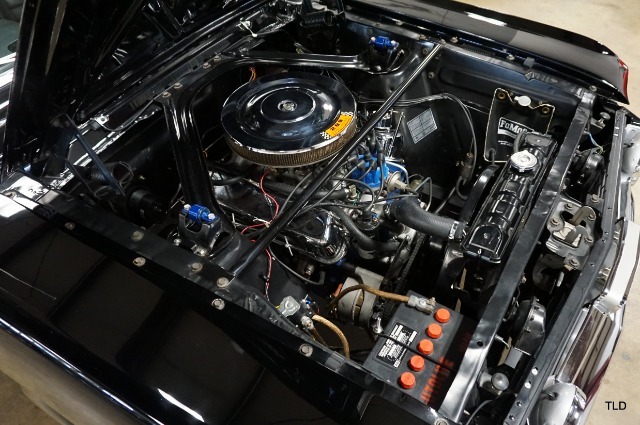 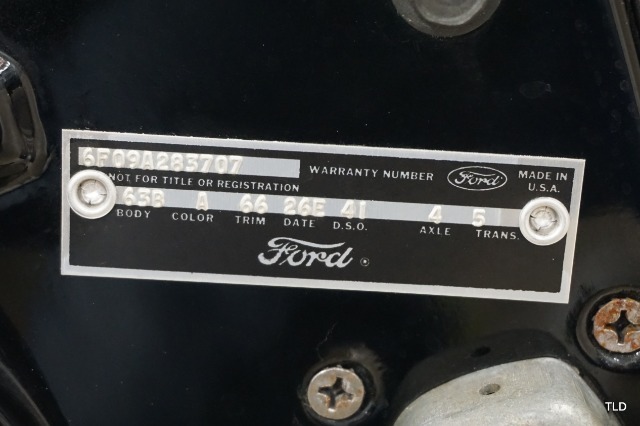 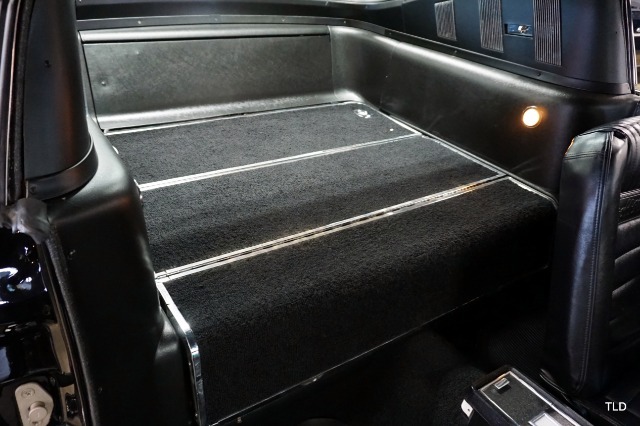 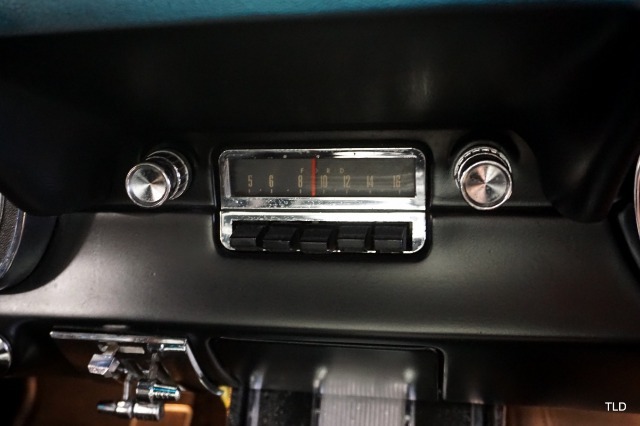 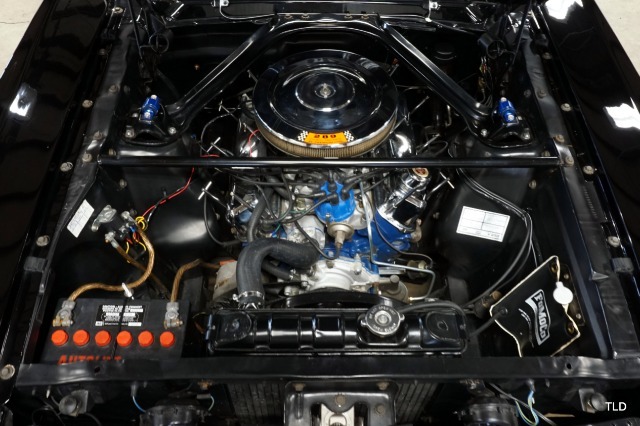 The freshly tuned up 289 is dressed with a chrome air cleaner and valve covers, and is backed by a 4 speed manual with Hurst shifter. 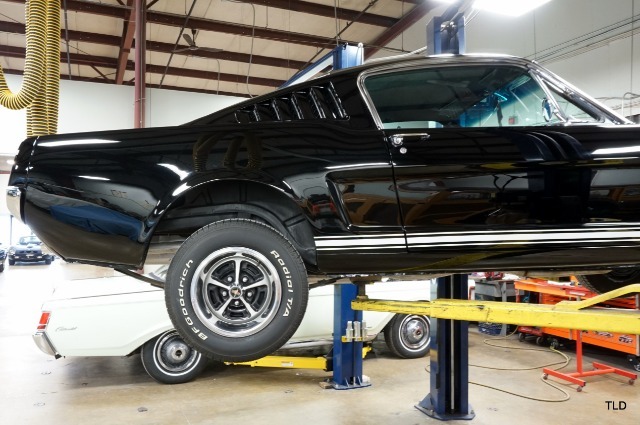 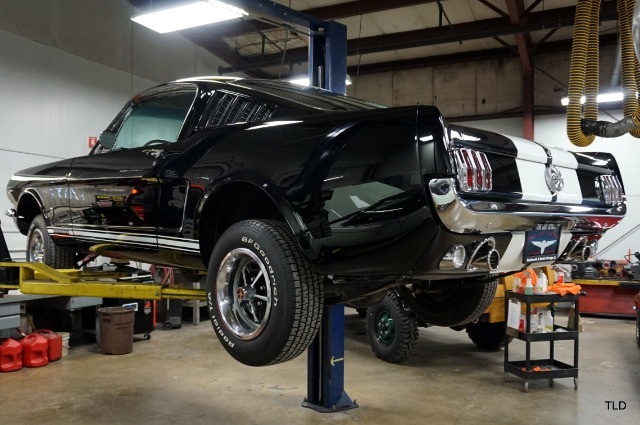 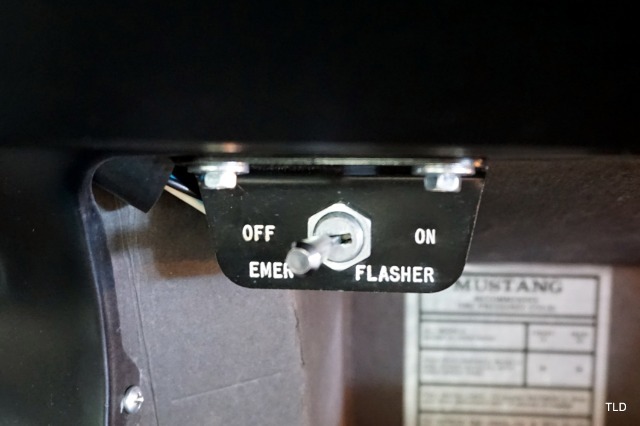 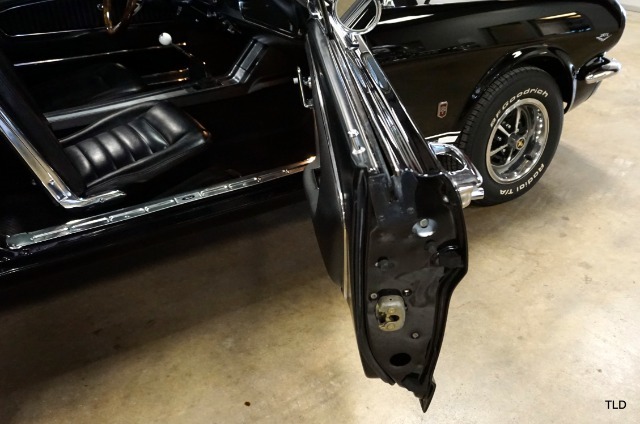 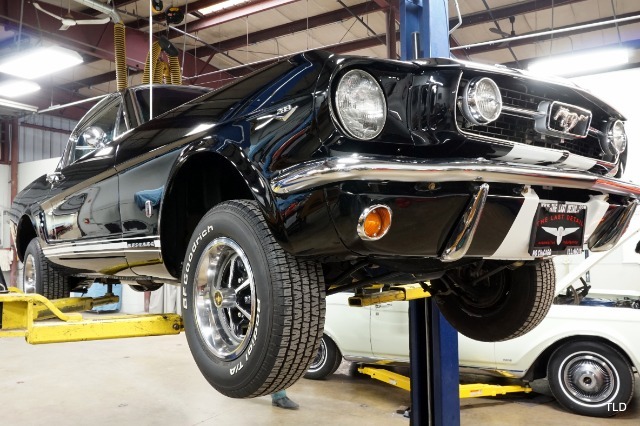 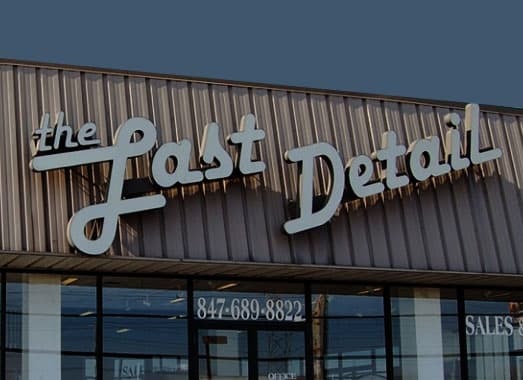 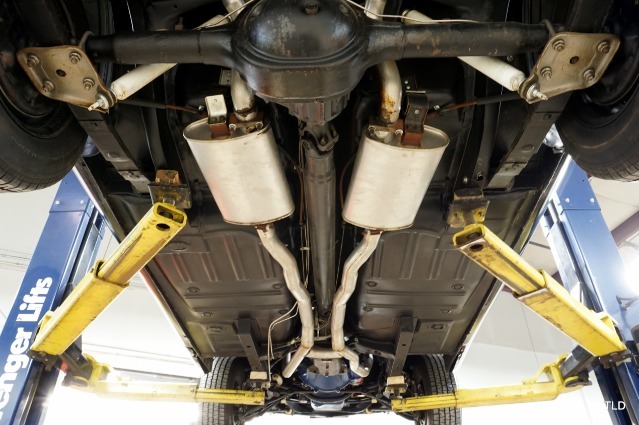 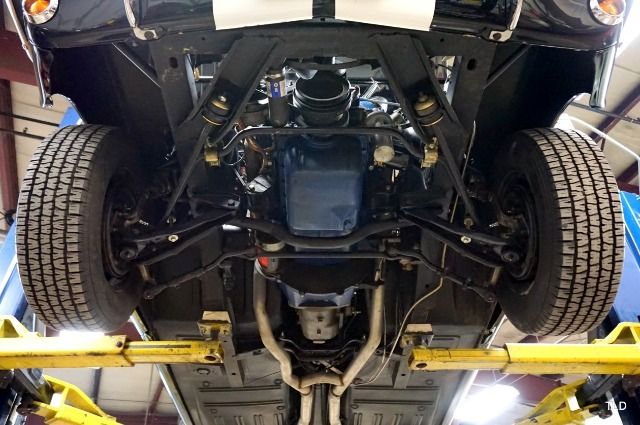 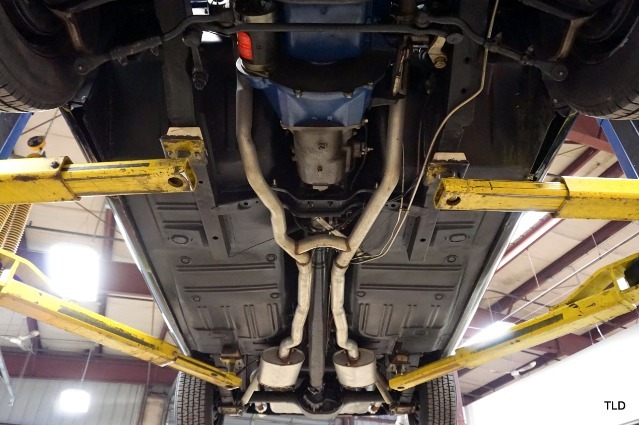 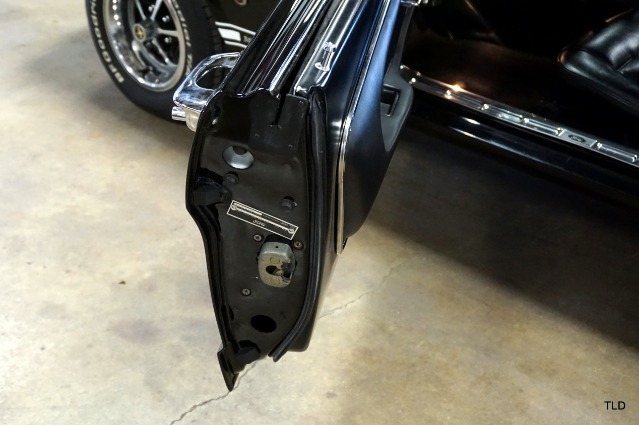 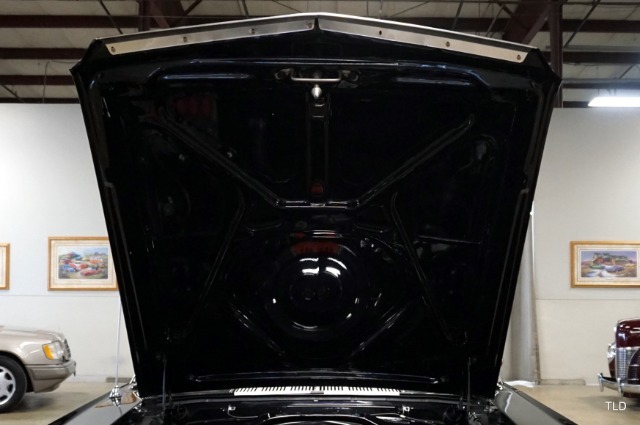 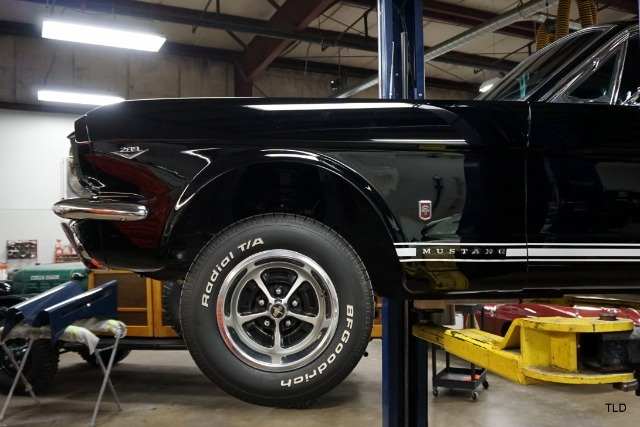 Additional service includes a fresh carburetor rebuild, new blower motor, brakes and front shocks. 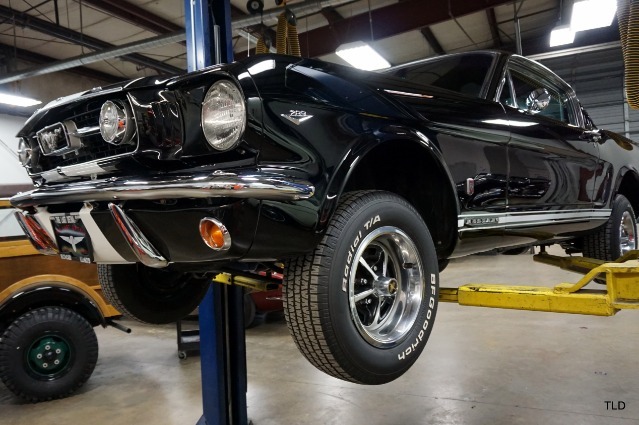 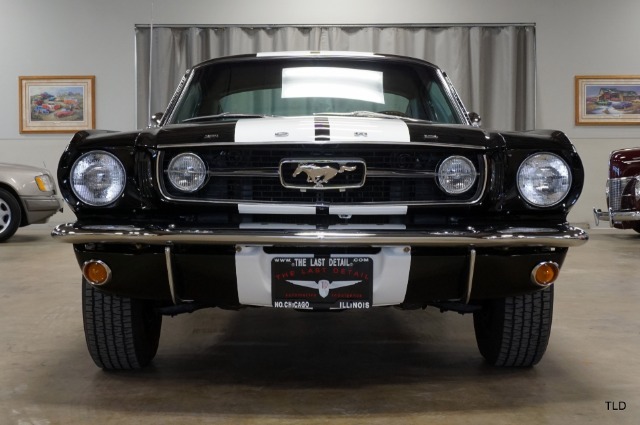 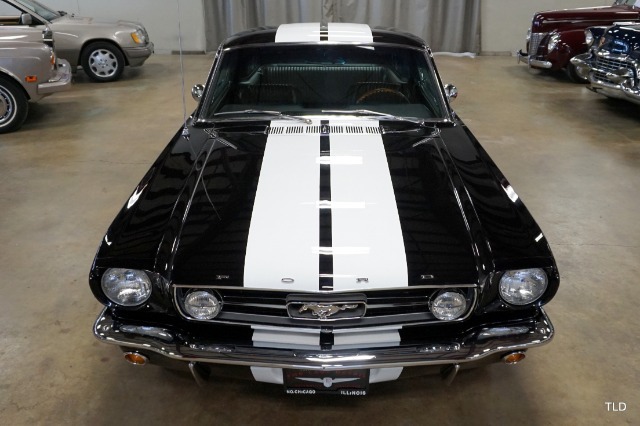 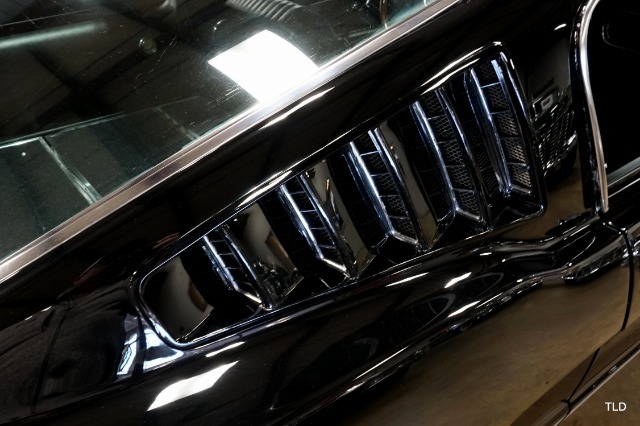 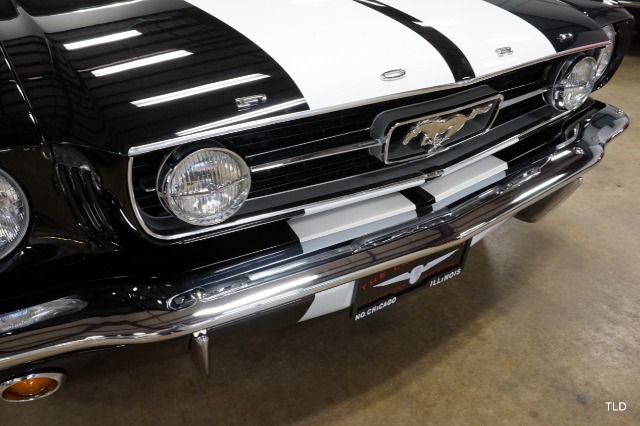 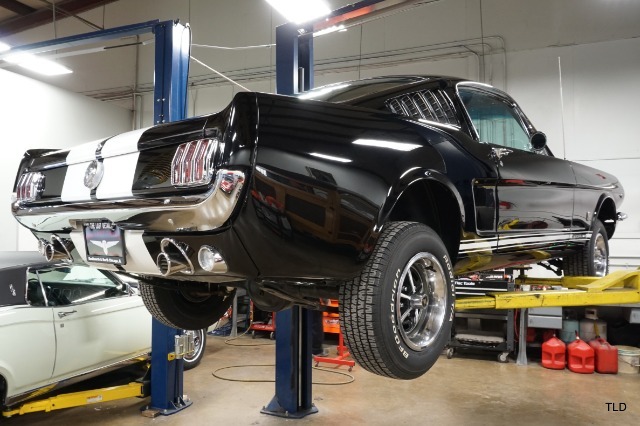 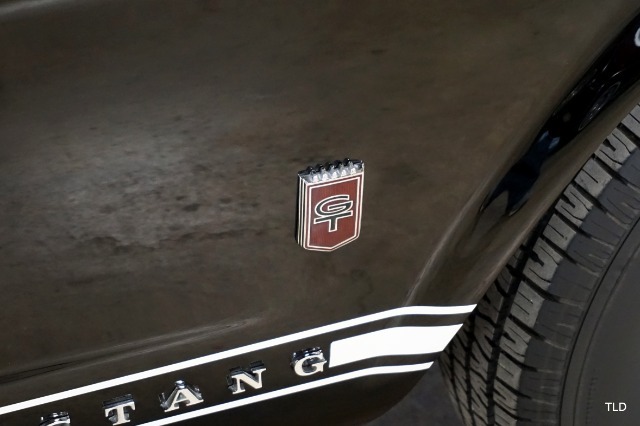 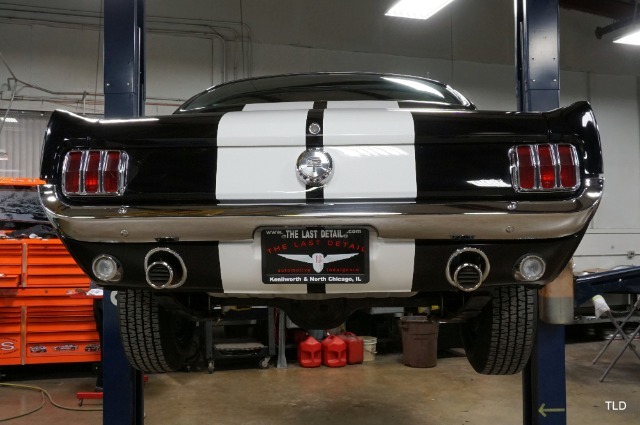 This impressive Mustang wont last long, so give us a call to find out more today!